January 26, 1943 - July 29, 2018 George Woodson Robins, a fixture at Southwest Portland coffee shops after a career as a fixer for Kaiser health and supporter of local unions, died Sunday, July 29, 2018 at the age of 75. 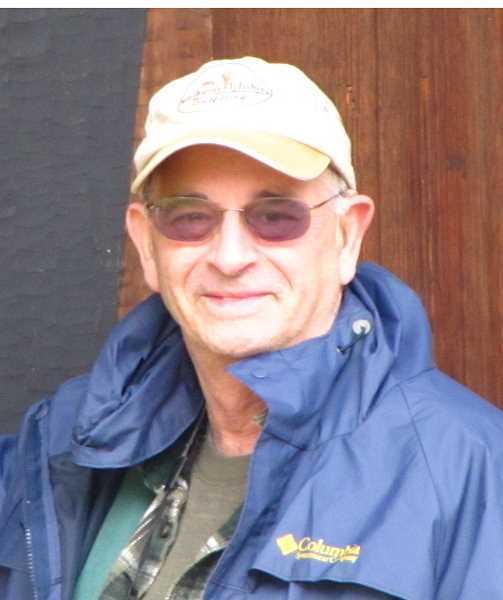 George Woodson Robins, a fixture at Southwest Portland coffee shops after a career as a fixer for Kaiser health and supporter of local unions, died Sunday, July 29, 2018 at the age of 75. Born to Dr. George M. Robins and Mrs. Mary Kimbrough Robins in Louisville in 1943, his family moved to Portland after World War II. He later lived with Herb and Edna McManus of Portland. George studied at Portland State University before joining the Peace Corps, serving in Thailand for nearly two years. Upon his return, he met his wife, Jean who he married in 1970. He also started working as an operating engineer for Kaiser Hospitals. In 1985 he became a business representative for his union, IUOE, retiring in 2000. While working and in retirement he pursued many hobbies including fishing, kayaking, traveling and bird watching. George loved to visit friends at the Grand Central Bakery in Multnomah Village, or get coffee with his wife, Jean, at the Starbucks around the corner. He was dedicated to his family, helping his mother-in-law and his godmother in their later years. George also liked to volunteer at his church. But his favorite activity was being Grampa. George Robins is survived by his wife, Jean Robins (nee Starr); his brother Philip of Portland; children Adam, Emily and Jessica Robins; grandchildren Noor and Lucy Rawdah and Eleanor Christensen. Donations in George's honor can be made to Kaiser ospice, the Oregon Food Bank or your favorite organization.